Oh the beauty of nature! Autumn is here for good and with it come all the magnificent shades of orange, mustard and gold. Apart from the glory of nature though, what comes with autumn is all sorts of colds, which are pretty annoying. 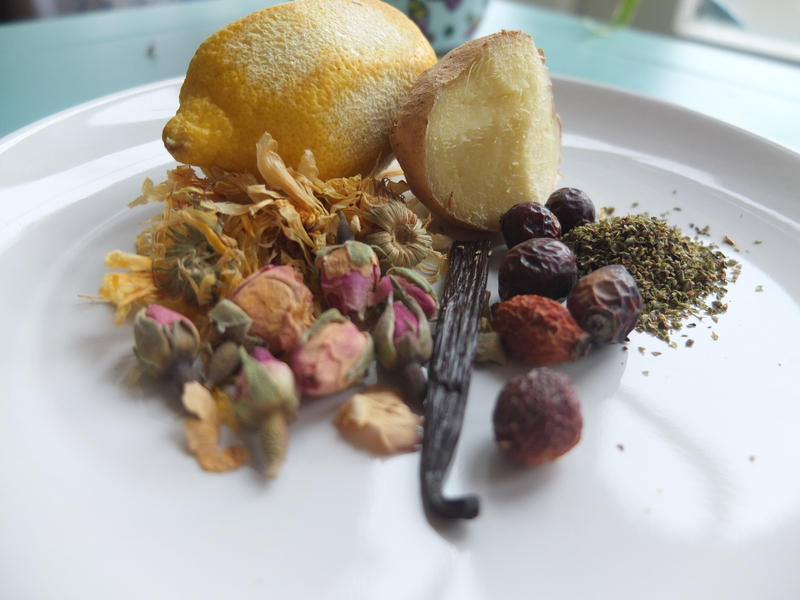 A great way to battle them is herbal infusions (also called tisanes). 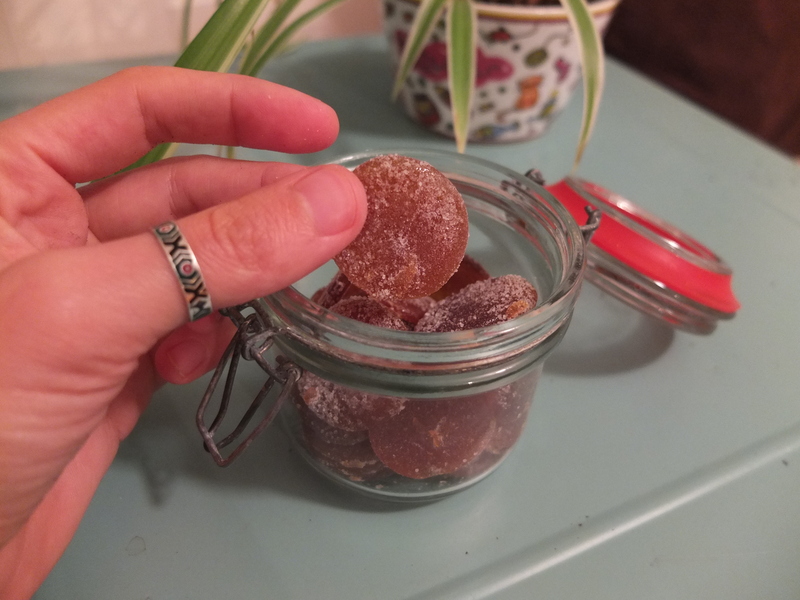 If however you can’t drink yet another cup of tea, these cough drops are a great alternative. I found a few recipes online, but in the end made my own, using herbs and spices of my liking. The first batch was a disaster, as I didn’t cook the caramel enough and it never set. But you won’t make this mistake, ’cause you will learn from mine, so there is nothing to worry about. Great. Let’s get started! Use a sharp knife to open the vanilla bean, to expose the seeds and put it in a big mug. Add in all ingredients except from the lemon rind and sugar. Cover with boiling water (250 ml). Let the infusion for as long as you can but at least 20 minutes. In a pot put the sugar and lemon rind. Add in the (strained) herbal infusion and turn on the heat to high. Stir till the sugar melts and then lower the heat a bit and stop stirring. After several minutes you will notice the bubbles on top of the mixture becoming smaller and more dense. When it looks like a foam, watch closely. At this point you want to start doing the water drop test: take a drop of the mixture and drop it in a glass of cold water. If it becomes solid, your mix is ready to remove from the heat. 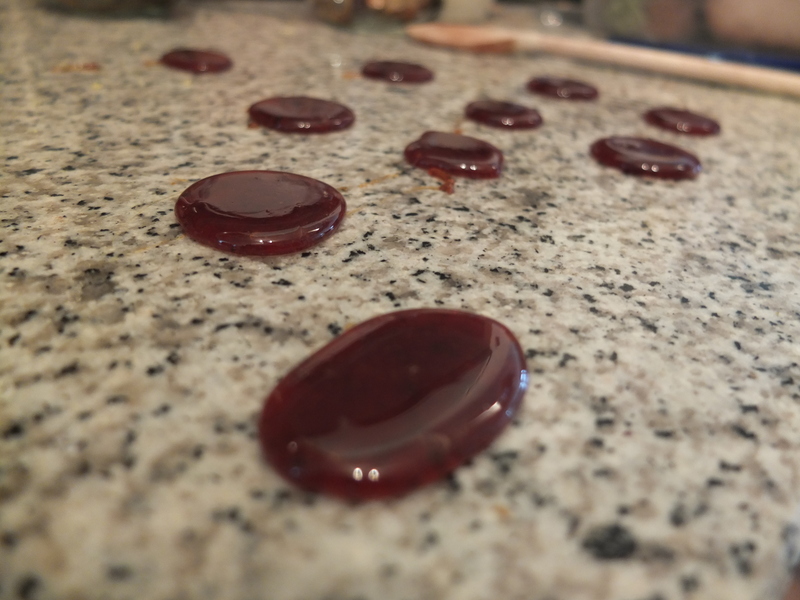 You have to be careful not and repeat the drop test soon if the first time the caramel dissolves, because things happen fast at this point and you might end up with burnt caramel. 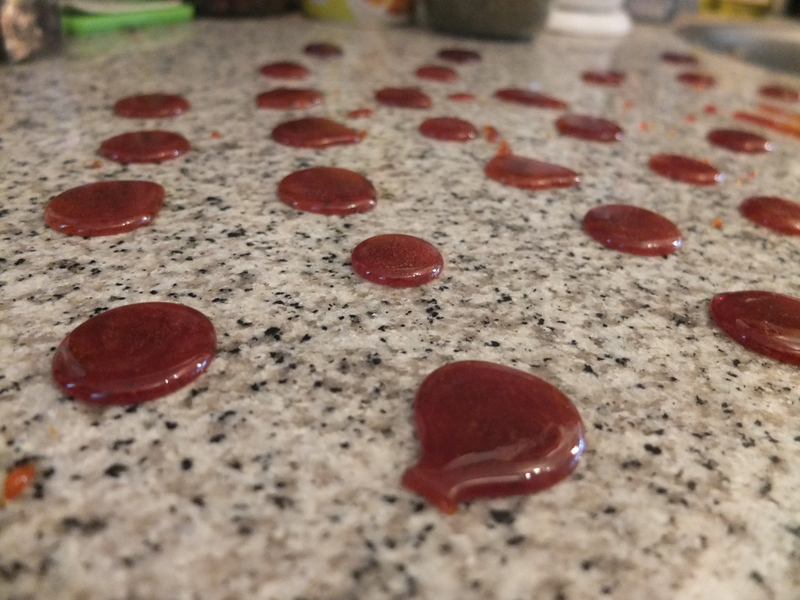 Once your mixture has the desired consistency, use a little spoon to make your drops on a marble counter top or wax paper. Let your candy harden completely before you try to remove it with a spatula (a plastic spatula is best, as a knife might scratch the marble). 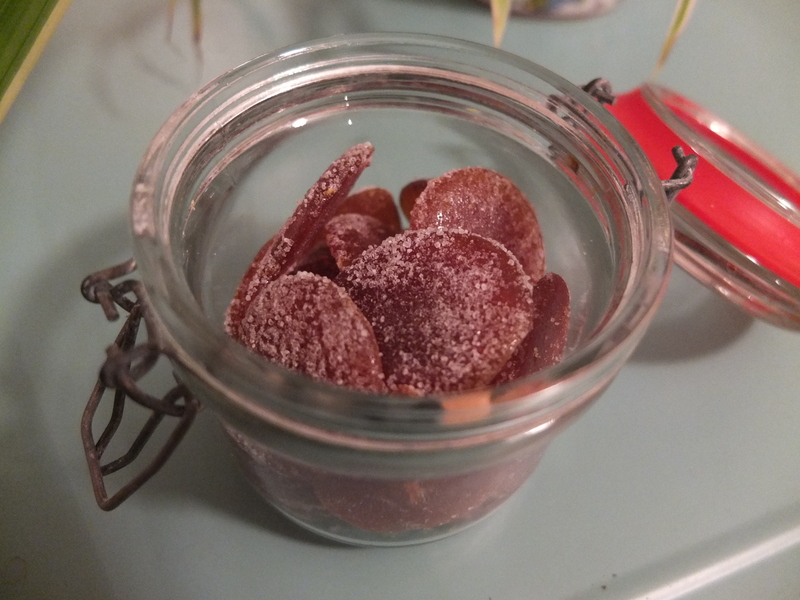 Dip your cough drops in icing sugar to prevent them from sticking to each other. I didn’t have icing sugar so I used my blender to make regular sugar slightly thinner. It did the trick. When you try to remove your drops from your working surface, some will most likely brake. Don’t through these away. You can use them to make instant tisane. Just add a few pieces in a mug and fill with hot water. Stir and voila! I really hope that you will give this a try as it was fun to make and I am pretty proud of the way it tastes (that’s why, if you want to reblog the recipe, please give credit to the non-hip hippies. I made this you guys. Be nice).